Your wedding DJ is responsible for most, if not all of the entertainment at your wedding reception, so it’s important you hire no one but the best! 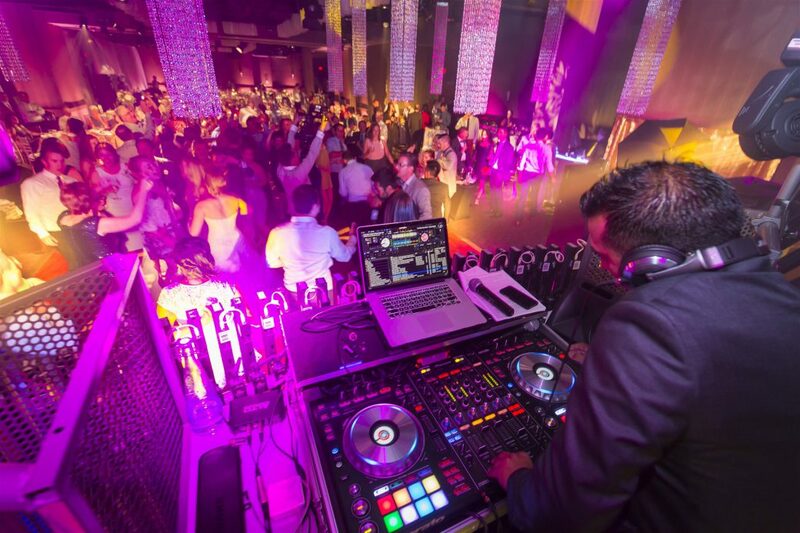 Here are the top qualities to look for when hiring a wedding DJ. Within a few short minutes, you should be able to gauge whether or not the DJ has a personality you can work well with. Are they upbeat, witty, or humorous? Do they sustain good eye contact and speak clearly? Do they make you feel at ease? Do they seem genuinely interested in your wedding reception and eager to learn as much about you and your guests as possible? If they make you uncomfortable in any way during the interview, chances are they will do the same for your guests, so don’t be afraid to follow your instincts on this one. You’ll know right away that a DJ is knowledgeable when they can quickly name the title and artist of that hit song that you only know a few words to. In addition, they should be able to tell you in depth about all of their equipment from the wattage of their speakers to why they chose to work with one brand over another, or how a certain program on their laptop is perfect for beat matching and syncing, etc. All good DJs will provide you with a list of past clients upon your request. After you’ve obtained a list, call a few of them and ask about the DJs reliability. Were they punctual? Did they come prepared with all the right equipment and backup equipment in case of emergencies? Did they follow through on all of their promises and play all of their client’s requests? You want a DJ that will listen to your needs, make note of all of your requests, and offer up ideas of their own that they feel will enhance the overall entertainment value. Contacting past clients and asking them if the DJ was able to adapt quickly to the crowd and the energy in the room will help you analyze this quality further. Do a large number of your guests speak a language other than English? If so, hiring a bilingual DJ might be a wise decision. Will you want a colorful light show to heighten the overall visual experience? There are DJs available who can provide LED lighting systems, mirror balls, etc., upon request. Are there any ‘out of the ordinary’ activities you require your DJ to emcee?